Photoacoustic tomography (PAT) provides in vivo multiscale non-ionizing functional and molecular imaging by combining optical and ultrasonic waves via the photoacoustic effect. High-resolution pure optical imaging (e.g., confocal microscopy, two-photon microscopy, and optical coherence tomography) offers rich tissue contrast but is limited to depths within the optical diffusion limit (~1 mm in the skin). In PAT, pulsed laser light penetrates the tissue and generates a small but rapid temperature rise, which induces emission of ultrasonic waves. The ultrasonic waves, ~1000 times less scattering than optical waves in tissue, are then detected to form high-resolution images at depths up to 7 cm, breaking through the optical diffusion limit. Super-resolution beyond the optical diffraction limit has also been achieved. PAT is the only modality capable of imaging across the length scales of organelles, cells, tissues, and organs with consistent contrast. Such a technology has the potential to enable multiscale biology and accelerate translation from microscopic laboratory discoveries to macroscopic clinical practice. PAT has been commercialized by several companies. The annual conference on this topic has become the largest in SPIE's Photonics West as of 2010. Lihong Wang holds the Gene K. Beare Distinguished Professorship at Washington University in St. Louis. His book entitled “Biomedical Optics: Principles and Imaging,” one of the first textbooks in the field, won the 2010 Joseph W. Goodman Book Writing Award. He also edited the first book on photoacoustic tomography. 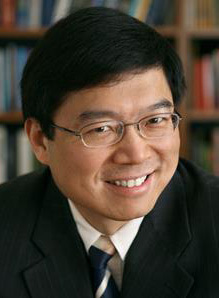 Professor Wang has published 415 peer-reviewed journal articles and delivered 400 keynote, plenary, or invited talks. His Google Scholar h-index and citations have reached 91 and 33,000, respectively. He is the Editor-in-Chief of the Journal of Biomedical Optics. Wang serves as the founding chairs of the scientific advisory boards of two companies, which have commercialized photoacoustic tomography. He received NIH’s FIRST, NSF’s CAREER, NIH Director’s Pioneer, and NIH Director’s Transformative Research awards. He was awarded the OSA C.E.K. Mees Medal, IEEE Technical Achievement Award, IEEE Biomedical Engineering Award, and SPIE Britton Chance Biomedical Optics Award for “seminal contributions to photoacoustic tomography and Monte Carlo modeling of photon transport in biological tissues and for leadership in the international biophotonics community.” An honorary doctorate was conferred on him by Lund University, Sweden.